Credit Line: Collection UCLA Grunwald Center for the Graphic Arts, Hammer Museum. Gift of Mr. and Mrs. Stanley I. Taplis. Cat. Raisonne: Conway.67, 68, 69, 71, 72, 73, 75. 76, 77, 78. "Tablets." Loss and Restitution: The Story of the Grunwald Family Collection. 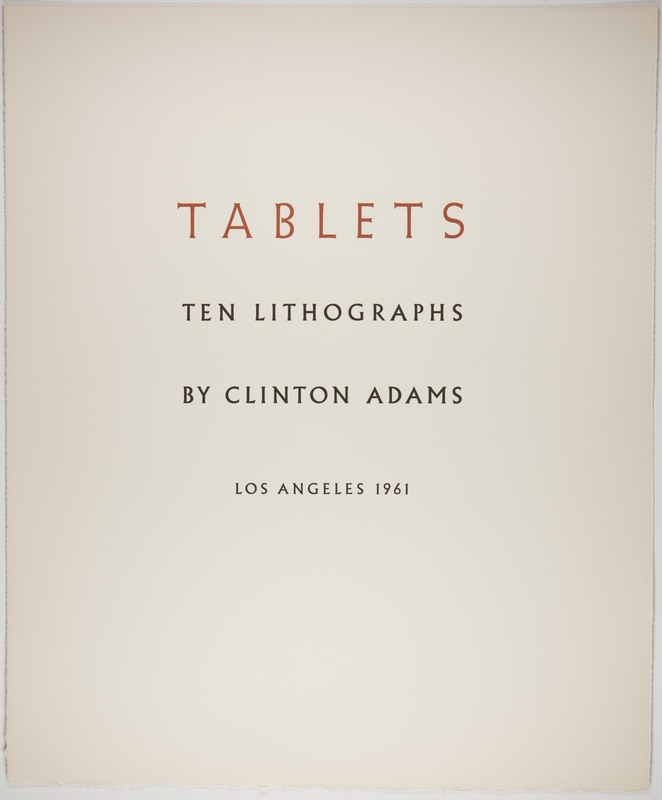 Los Angeles: Hammer Museum, 2017. https://​hammer.ucla.edu/​collections/​grunwald-center-collection/​loss-and-restitution-the-story-of-the-grunwald-family-collection/​art/​art/​tablets/​.